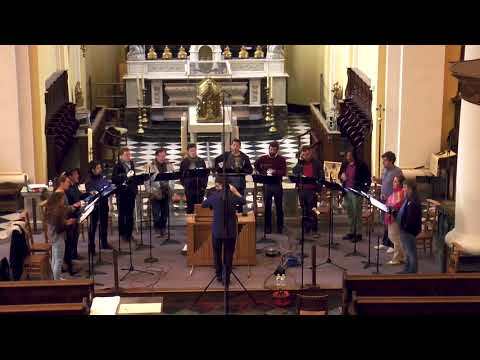 Since its creation in 1987, the Namur Chamber Choir has been dedicated to defending the musical heritage of its region of origin (concerts and recordings devoted to Lassus, Rogier, Hayne, Du Mont, Fiocco, Gossec, Grétry ...). by approaching great works of the choral repertoire (Haendel's oratorios, masses, motets and passions of Bach, Requiem of Mozart and Fauré, ...). Guest of the most famous festivals in Europe, the Namur Chamber Choir works under the direction of prestigious conductors such as Marc Minkowski, Jean-Claude Malgoire, Sigiswald Kuijken, Guy Van Waas, Federico Maria Sardelli, Ottavio Dantone, Philippe Pierlot, Philippe Herreweghe, Peter Phillips, Jordi Savall, Christophe Rousset, Eduardo Lopez Banzo, Andreas Scholl, etc. The Choir has made numerous recordings, notably at Ricercar, greatly appreciated by the critics (nominations for Victoires de la Musique Classique, Choc of Classica, Diapason d'Or, Joker of Crescendo, 4F of Télérama, Editor's Choice of Gramophone, the Prix Caecilia of the Belgian press ...). The Chamber Choir of Namur has also been awarded the Grand Prix of the Académie Charles Cros in 2003, the Prix de l'Académie Française in 2006, the Octave de la Musique in 2007 and in 2012 in the categories "Classical Music"and" show of the year ". In 2010, the artistic direction of the Namur Chamber Choir was entrusted to the young Argentinian chef Leonardo García Alarcón. This new collaboration was immediately successful, both in concert and on record (Haendel's Judas Maccabaeus, Vivaldi's Vespro a San Marco, Il Diluvio Universale and Nabucco of Falvetti, Giorgi's Motets and Mass, Secular Cantatas by JS Bach, Requiem of Mozart, Vespro della Beata Vergine of Monteverdi, Mass & Motets of Lassus, ...). In 2016, the Namur Chamber Choir participated in its first stage production at the Paris Opera (Eliogabalo of Cavalli). In 2017, he appeared on Purcell's Dido and Aeneas at the Opéra Royal de Wallonie in Liège, under the direction of Guy Van Waas. 2017-2018 is the 30th anniversary season of the Choir. The Orfeo of Monteverdi, in 2017, was the first stage of this anniversary, throughout Europe and South America. 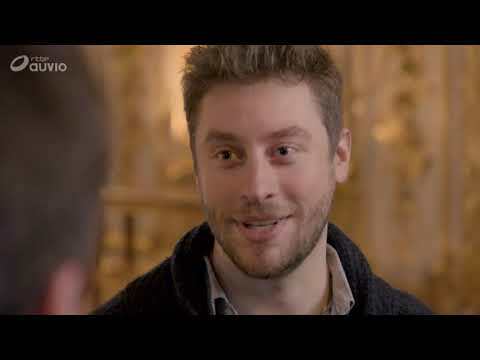 In 2018, the productions of the Grands Motets of Lully, the Passio del Venerdi Santo of Veneziano, Jacques Arcadelt's mass and motets and Haendel's oratorio Samson will be the other highlights, marked by as many TV and video recordings. CD recordings, all directed by Leonardo García Alarcón. 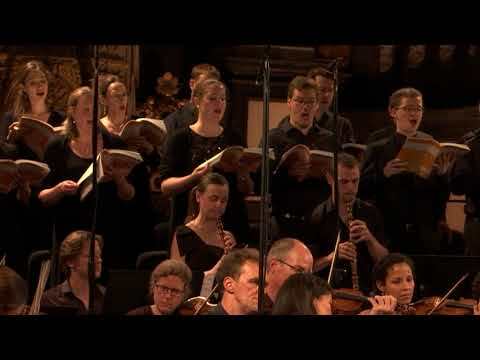 The repertoire of the choir is very broad, since it extends from the Middle Ages to contemporary music. The Namur Chamber Choir is supported by the Wallonia-Brussels Federation (music and dance department), the National Lottery, the City and the Province of Namur. It is also supported by the Autonomous Port of Namur. The concert this saturdau 20 april 2019 in Amsterdam. Video. After studying the piano in Argentina, Leonardo García Alarcón moved to Europe in 1997 for advanced studies at the Conservatoire de Musique de Genève in the harpsichord class of Christiane Jaccottet. He was a member of Ensemble Elyma, and became Gabriel Garrido’s assistant before founding his own ensemble, Cappella Mediterranea, in 2005. From 2010 to 2013, he was in residence at the Centre Culturel de Rencontre d’Ambronay, where he is now an associate artist. In 2010, he was appointed artistic director and principal conductor of the Choeur de Chambre de Namur. In 2015, he founded the Millenium Orchestra. He is also a professor of harpsichord conducting and Baroque vocal interpretation at the Conservatoire de Musique de Genève. His discography—with Cappella Mediterranea, the Namur Chamber Choir, and Millenium Orchestra—has received widespread critical acclaim. As a conductor and harpsichordist, he is invited to perform at festivals and concert halls the world over, including the opera houses of Montpellier, Lyon, Nantes, Rennes, and Lille; Teatro Colón in Buenos Aires; Concertgebouw in Amsterdam; Opéra de Monte-Carlo; Théâtre des Champs-Élysées in Paris; Wigmore Hall in London; and Teatro Massimo in Palermo. He has conducted the Gulbenkian Orchestra in Lisbon, Orchestre de Chambre de Paris, and Freiburger Barockorchester, among others. Since its first modern performance under his direction in 2011, Falvetti’s Il diluvio universale has been heard all over Europe, with concerts scheduled in 2016 and 2017 at the Vienna Konzerthaus and venues in Versailles and Geneva. Following the success of Cavalli’s Elena at the Festival d’Aix-en-Provence in 2013, Leonardo García Alarcón also has been invited to appear at international opera houses, including the Teatro de la Zarzuela in Madrid, Opéra national de Paris, and Dutch National Opera and Ballet in Amsterdam. In 2017, he will conduct three of Cavalli’s operas: Giasone in Geneva, Erismena in Aix-en-Provence, and Eliogabalo in Amsterdam. He also will lead Monteverdi’s Orfeo in Europe this spring, before taking it on tour to South America next fall.